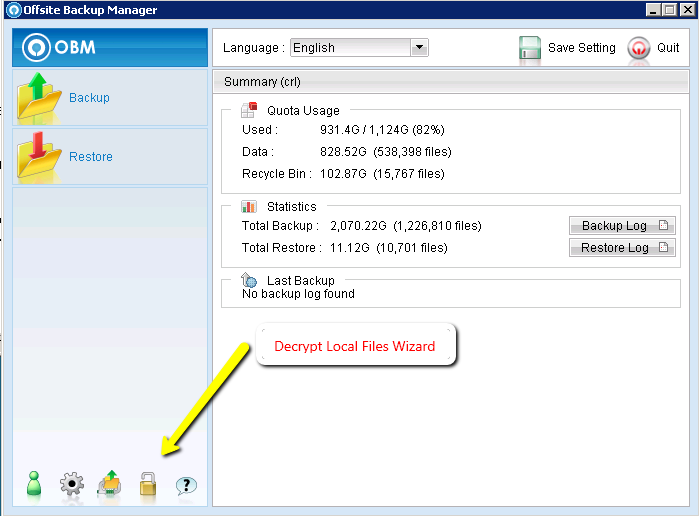 The Offsite Backup Manager software agent can be used to decrypt files from a local-copy backup, or where your service provider has provided you with a copy of encrypted offsite data on disk. 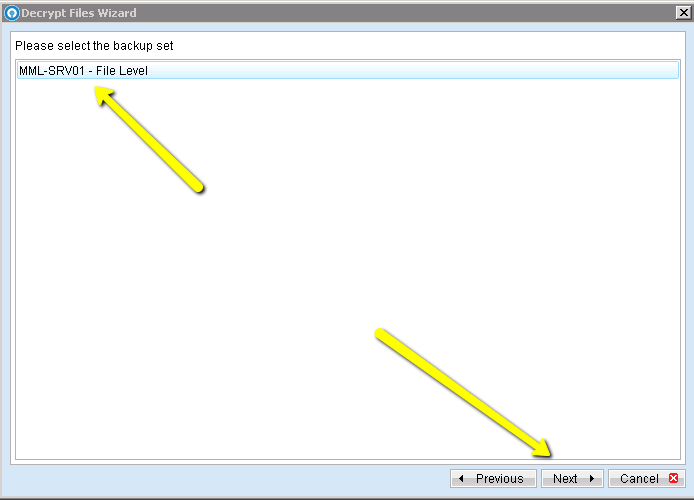 Although the files are decrypted on your local computer you will require internet access and your offsite backup service username and password to begin the process. You will also need your encryption key used to backup the data you are trying to decrypt, this is often the same as your service login password, but may be different. 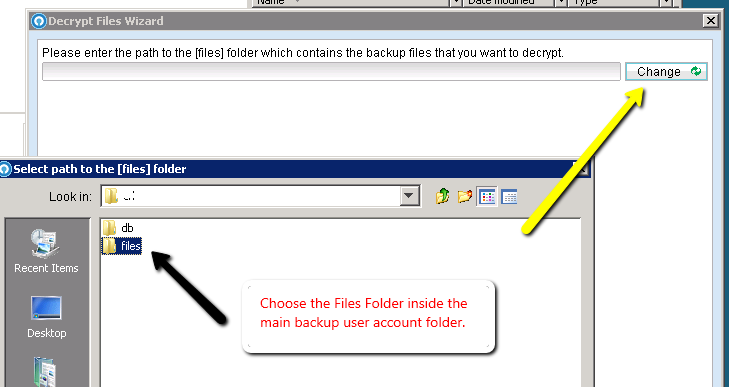 Open and login to Offsite Backup Manager, and click on the the Decrypt Local Files button. 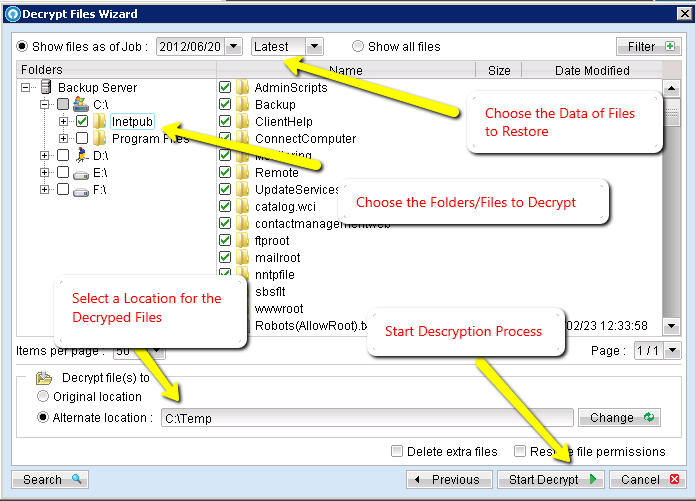 Choose the file path where the encrypted files are located. This location is the files sub folder, inside the main account folder. The main account folder is usually the same as your service username. Once you have selected the correct folder location, click Next. 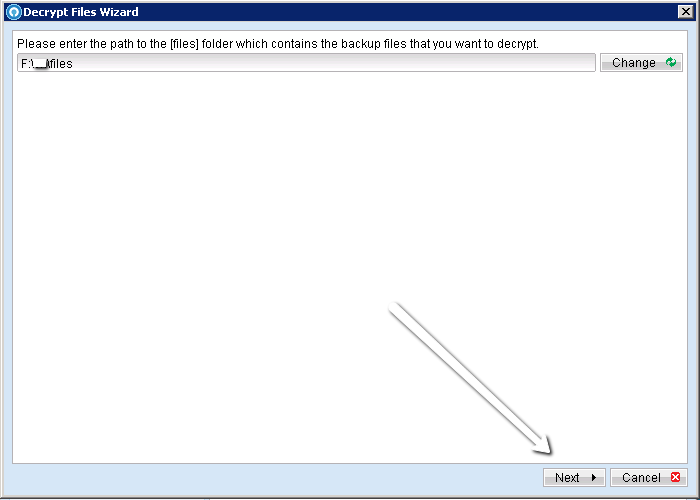 Choose the Backup Set containing the data you wish to decrypt from the list of backup jobs. Choose the relevant options relating to the date, folders and files, as well as the location where you would like the decrypted data to be stored. Click the Start Decrypt button to begin the process. If you are asked for your encryption key password at any stage during the process enter your key. Keep an eye out for any messages from the OBM software during the decryption process, as it may require user input at any stage to continue.